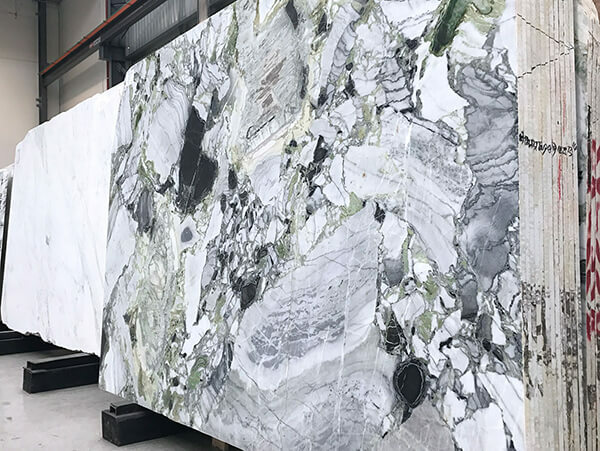 Signorino’s collection of natural stone slabs and tiles sits among the best in the world, and you can find it right here in Melbourne. We source gorgeous stones from around the globe, including a wide selection of Travertine, Marble, Quartzite, Limestone and Basalt. Each and every one of our stone slabs is on display at our dedicated Signorino Stone Gallery. Signorino Stone Gallery is a state-of-the-art showroom dedicated to our enormous collection of natural stone slabs. Purpose built and designed with the single goal of being the most organised natural stone showroom in the industry, Signorino Stone Gallery provides a stone sourcing experience that simply cannot be matched. Browse online for just a taste of what is displayed at Signorino Stone Gallery.